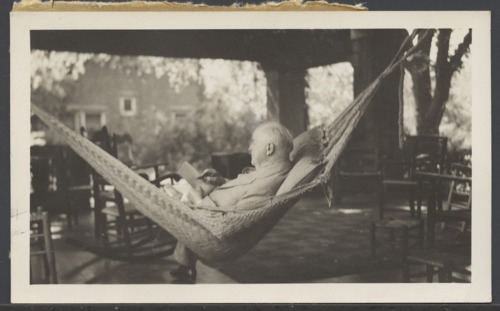 This is a photograph of William Allen White sitting in a hammock on his porch at 927 Exchange in Emporia, Kansas. White was the long time editor of the Emporia Gazette. The image is somewhat blurry.